I have tested the Original S10 trucks at speeds up to 30 knots without any wobbling tendency’s. The Original S10 are great carving/slalom trucks. On my new Ice Board I will test the Caliber Forty-Fours down-hill trucks, for safer rides in high winds and speeds. The Caliber Forty-Four is built for speed with a 44-degree hanger and Blood Orange Bushings to avoid high-speed wobbles. 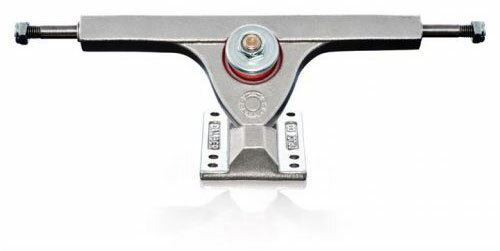 I will still use the Original S10 trucks for carving and Slalom sessions. Ice Boarding at +40 knots out-side Muskö, Sweden. GPS-logs from the latets sessions using Caliber Down-Hill trucks.